Tiger Woods is enjoying a wild comeback in sport. The American golfer placed second in the last of golf’s major tournaments this year. But what is most impressive is the fact that Woods has risen from 1,199th in the world golf rankings to 26th – and it’s only taken him eight months. Tiger Woods, the most famous golfer on the planet, is enjoying a wild comeback in sport. Woods has not won a golf major in ten years but came close last weekend when he finished second to Brooks Koepka at the 2018 PGA Championship – the last of the four majors this season. Since his last major victory in 2008, Woods was embroiled in an infidelity scandal in 2009, got divorced from his wife Elin Nordegren in 2010, and was arrested for a DUI (driving under the influence of drugs or alcohol) in 2017 – later toxicology reports indicated he “had five different drugs in his system” at the time of the arrest. Woods also suffered from back and leg injuries that were so severe they threatened his ability to walk, let alone compete in high-level sports. But, after undergoing spinal fusion last year, Woods is now doing what he does best – playing golf. And his comeback has to be seen as a huge success. 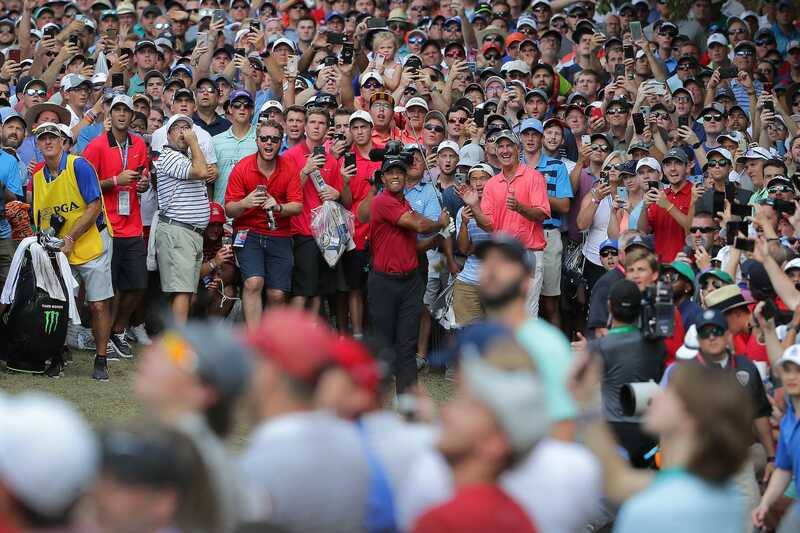 After all, his second-place finish at the Bellerive Golf Course in Missouri, St. Louis, saw him best three-time major winner Jordan Spieth, 2018 The Open Championship winner Francesco Molinari, and in-form Englishman Justin Rose. What is even more impressive is that Woods has risen from 1,199th in the world golf rankings in December 2017 to 26th right now – that’s an improvement of 1,173 places in the space of eight months. Woods has a busy schedule in the coming months, as he plays in the first two events of the FedExCup playoffs, and also hopes to compete in the Ryder Cup in Paris, in September. On current form, it would not be surprising to see Woods climb even higher up the world golf rankings.